Bringing some tradition to the collection, the Timpa tartan neckerchief is a lovely bright weave of traditional colours. 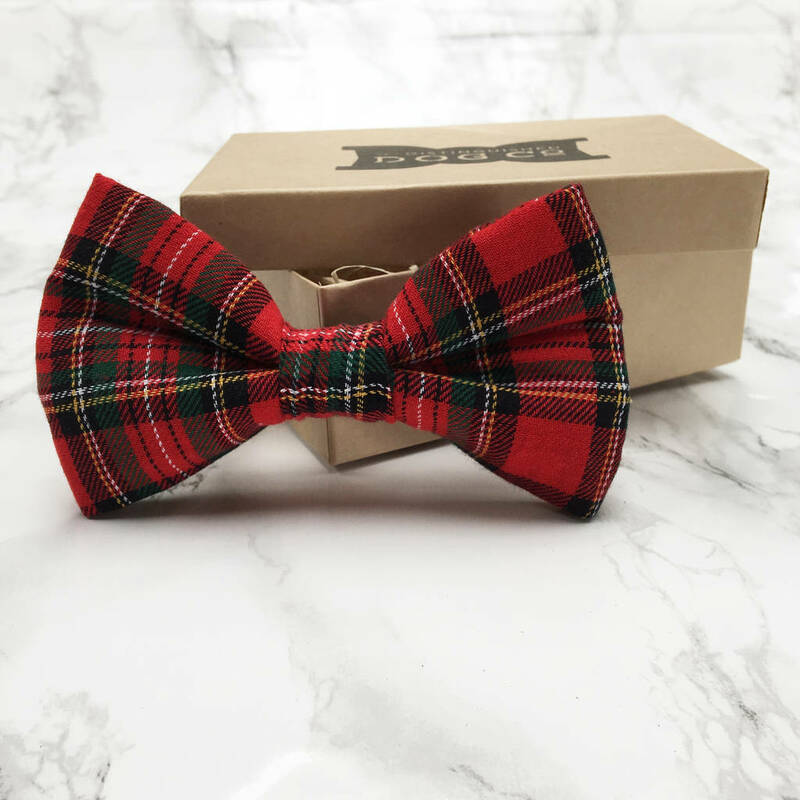 The wonderful soft tartan is complimented with a red jersey fabric reverse that peeks through every now and then. The neckerchief ties in a double knot at the pup’s scruff, so is easily adjustable. 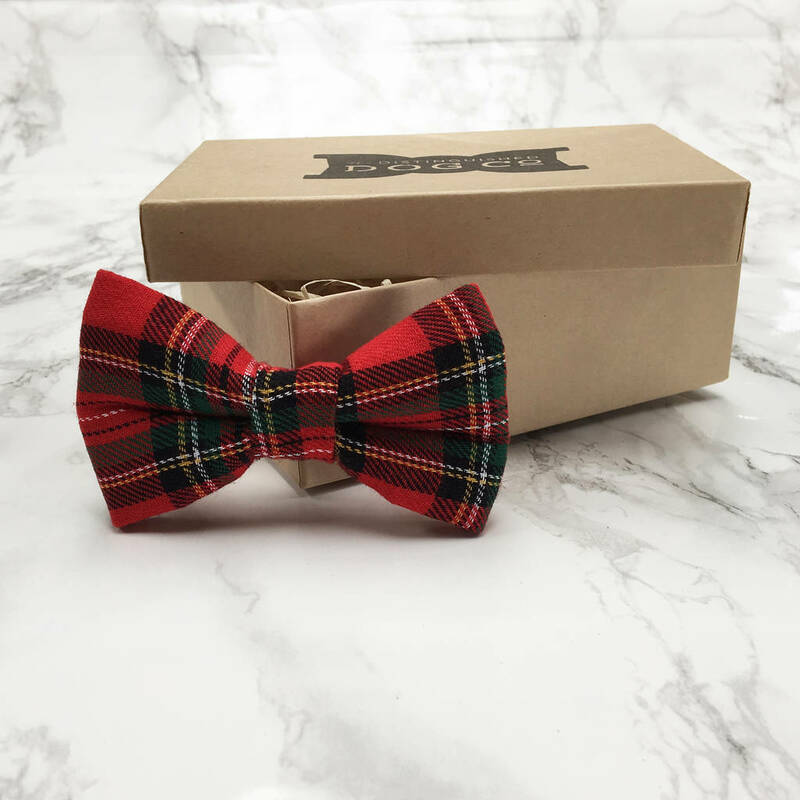 As each neckerchief is made with two types of luxurious fabric, it provides ultimate comfort for the wearer, and also means it is held in place securely whilst looking very stylish. 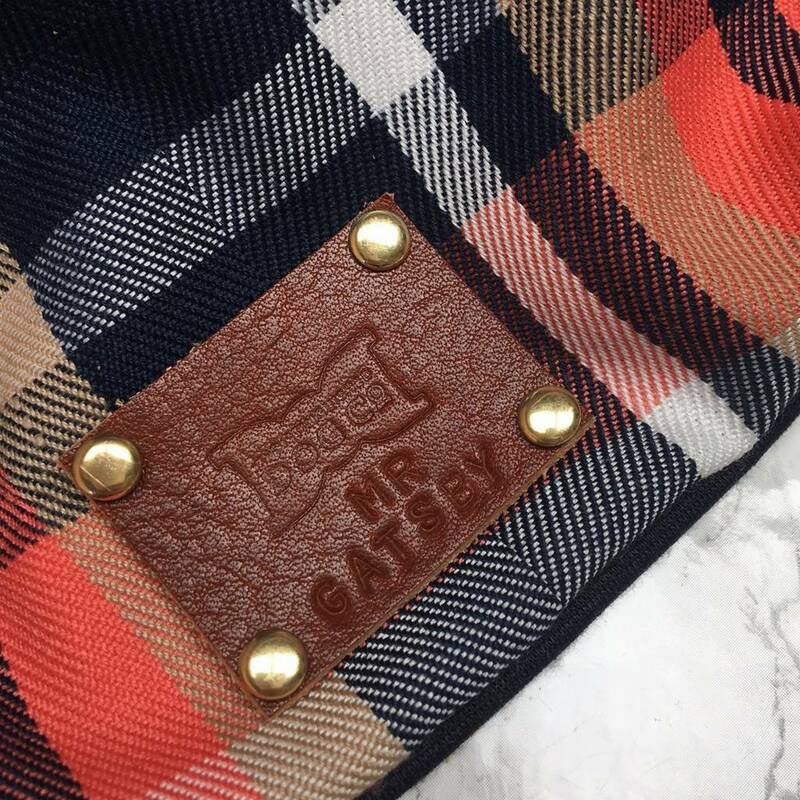 Handmade from start to finish in Devon and finished with the trademark Distinguished Dog Company leather stamp, this neckerchief will have any dog feeling the bees-knees. The perfect gift, each neckerchief comes in its own doggy bag. Comes in three sizes: small, medium and large. 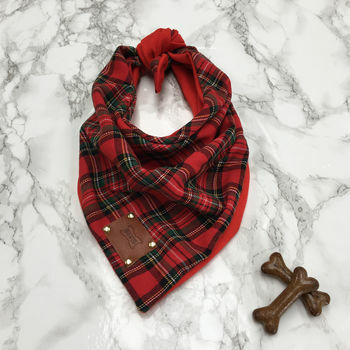 The Timpa bandana neckerchief is 100% cotton with a soft red jersey on the reverse. As the signature stamp is leather, we recommend handwash only, avoiding the getting the leather too wet.